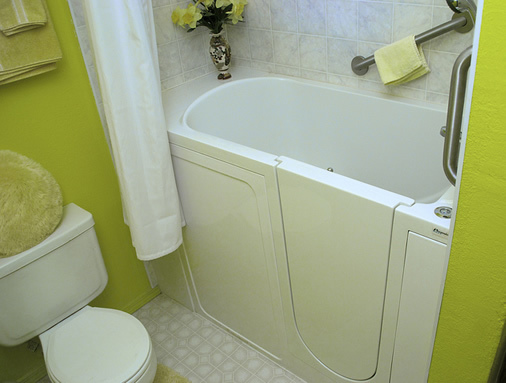 With many Baby Boomers getting older, walk-in tubs are one home improvement that will make it easier to grow older comfortably in the home they've known for years. 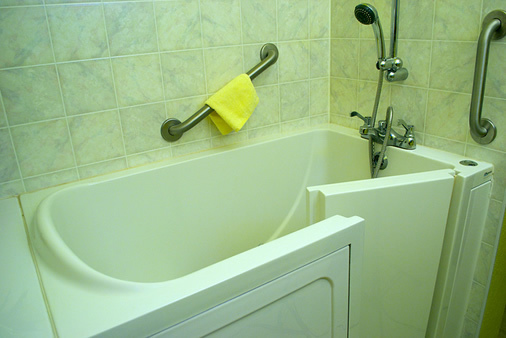 But walk-in tubs are not just for the elderly. 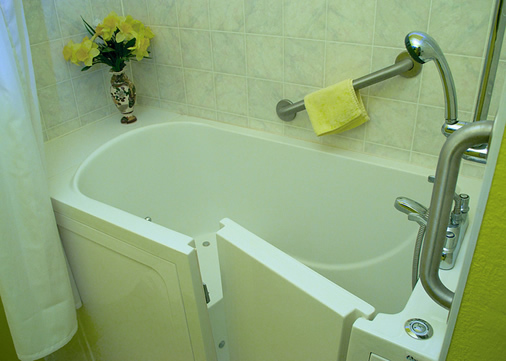 For those with limited mobility, a walk-in tub can offer increased safety, comfort and even therapeutic benefits, such as hydrotherapy or aromatherapy. 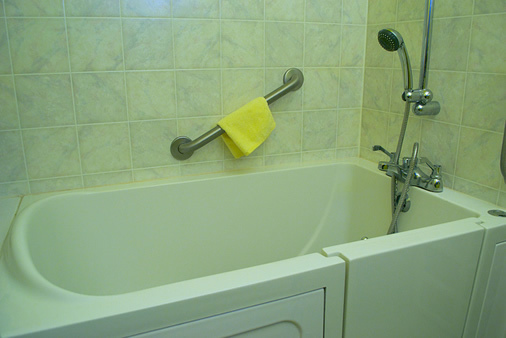 These photos show a walk in tub that has been installed in a small bathroom. 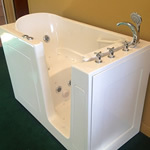 A walk-in tub can have similar benefits to a hot tub, only without the chemicals, pumps, or maintenance.